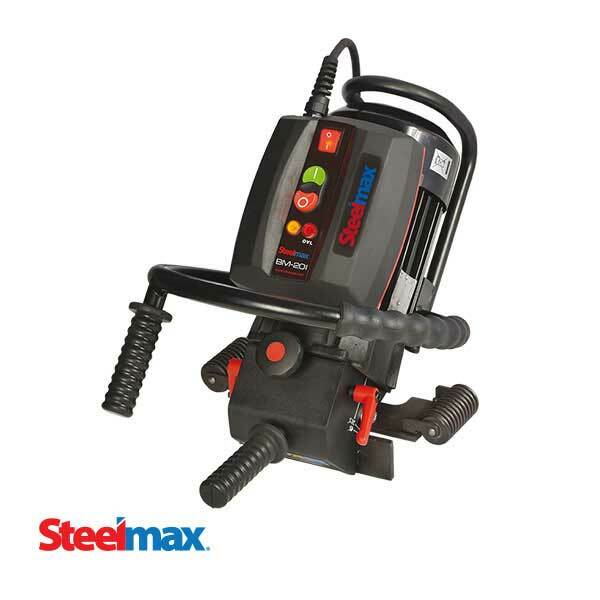 Steelmax Tools has introduced the DBM12 Double Sided Beveling Machine, the latest addition to Steelmax’s broad line of advanced plate and pipe beveling solutions. 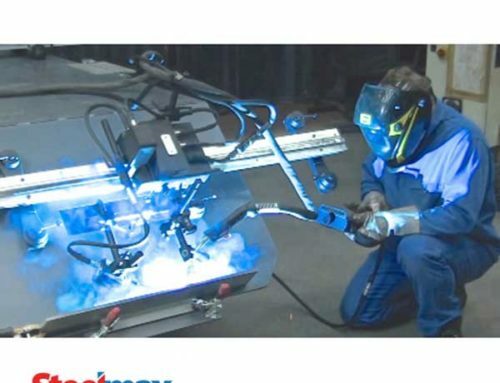 The DBM12 produces weld-ready bevels on flat plates of any shearable material up to 85,000 psi tensile strength, using shearing technology that is silent and fast. 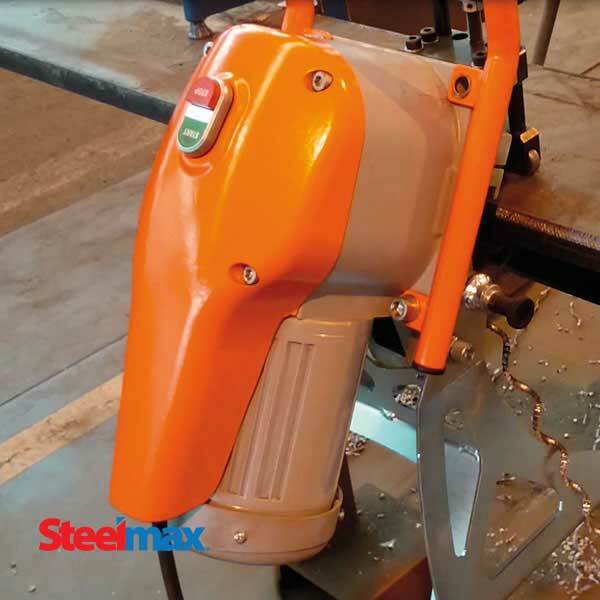 A powerful 3-phase electric motor drives the machine at speeds up to 6 feet per minute and cuts bevels up to ½” wide on material thickness from 1/8” to 1-3/8”. Interchangeable bevel angle attachments produce 22.5?, 30?, 37.5?, 45? and 50? bevels. 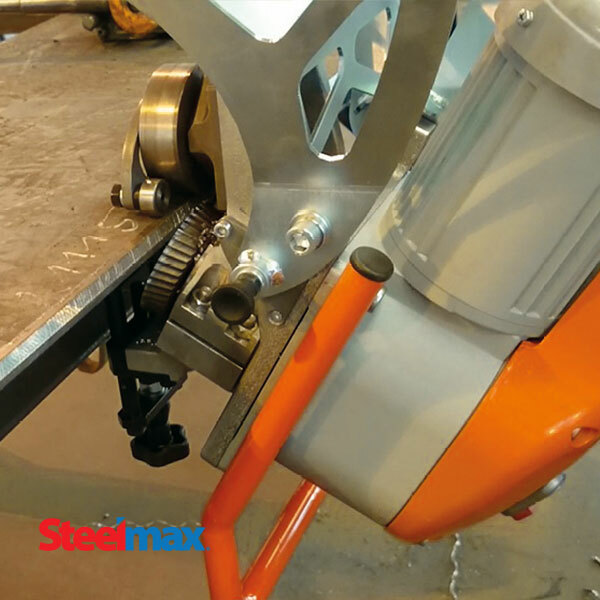 This lightweight machine is easily inverted to bevel the underside of the plate for creation of X- and K-bevels without flipping the plate. 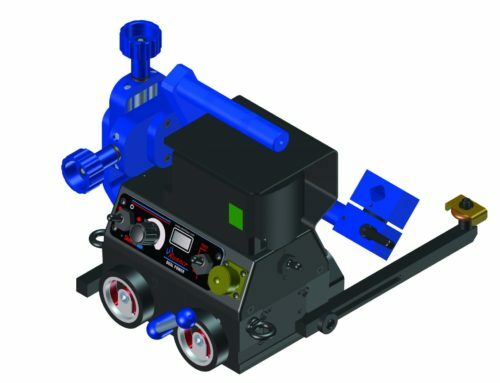 The DBM12 produces no smoke or dust and is extremely quiet. It will not distort the plate or create a heat affected zone. 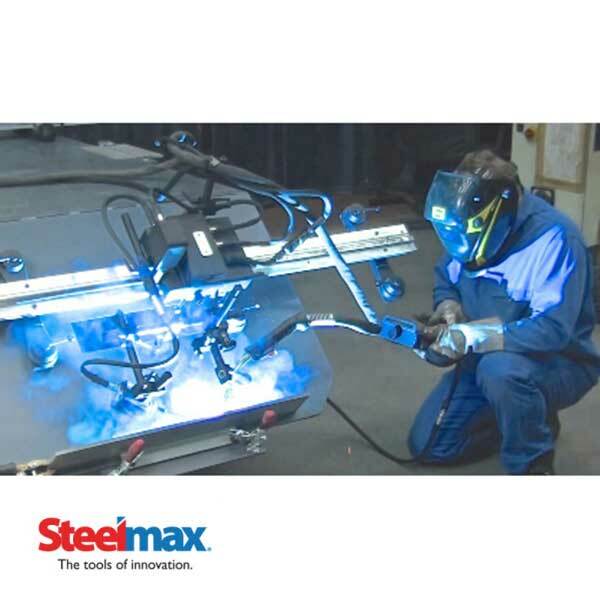 180° inversion enables double-sided bevels – no need to rotate or flip heavy material – dramatically improving safety and reducing material handling costs. 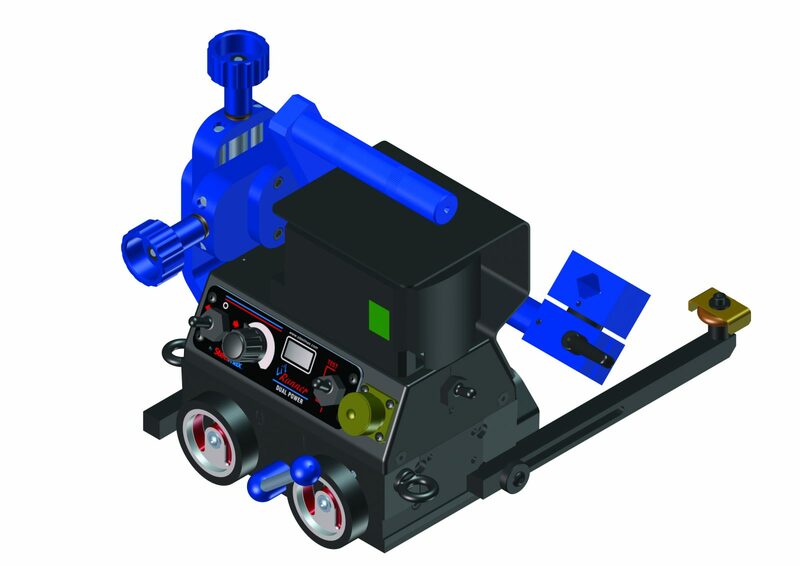 Shearing cutting wheel is long lasting, quiet, and fast; beveling up to 6 feet per minute. 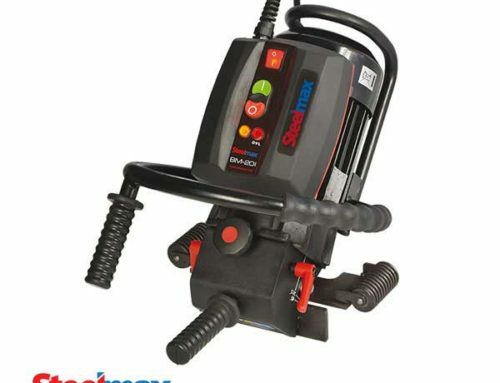 Great machine for creating weld test coupons. 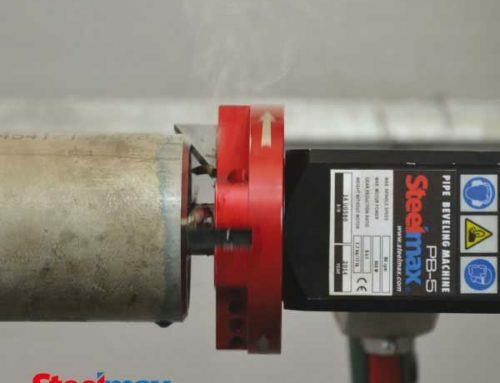 Bevel pipe & round tubes 3-3/4” in diameter and larger. 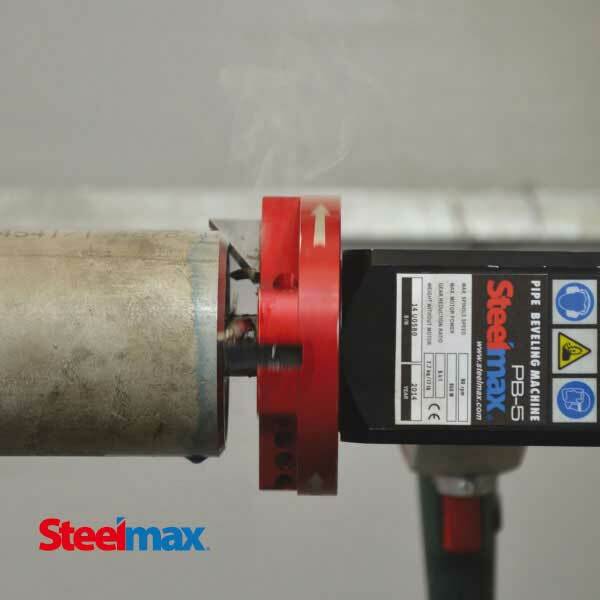 Contact us today (phone 877.833.5629 or email sales@steelmax.com) to learn more about this innovative and cost-effective beveling solution.